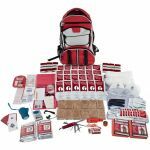 Three day survival kits are designed to get you through the first 72 hours of a disaster. The government recommends that all families have at least enough supplies on hand to take care of themselves following a catastrophic event. Even a local blizzard or wider-spread hurricane can isolate you from outside help and you may not be able to get yourself any additional food or water. The power may be out for an extended time and roads could be impassable. 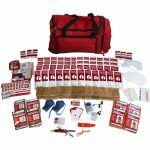 By putting together a 72 hour kit, you will know you can survive for at least as long as it takes to get government resources out in the field and ready to take care of the people. 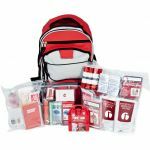 These survival kits give your the supplies you need to take care of yourself and your family during a time of crisis.